Literally thousands of hours have been spent restoring my boats and becoming an expert in the craft. The first was a 1960 Owens 32 Sea-Skiff Express Cruiser. A true learning experience that one was, a dozen planks, the chine, teak deck seams, brightwork, electrical, and just about everything in between. Then came a 1961 Chris-Craft Constellation 50 Flush Deck, big boat and where I really learned about window channels. It was home for 5 years... wonderful. We've gone over just about every square inch of "the classic woodie" looking for problems and ultimately repairing them. New aft bulkhead, new aluminum fuel tanks, a few planks replaced and some refastened, new window channels, stripped all wood to bare, ELCI and the list goes on and on. The idea is to have an extremely sound, safe cruiser. To view a PowerPoint presentation on how wooden Grand Banks were built. Just click on the Legend of Grand Banks link above to download. If anyone is interested, I also have a set of construction plans for the GB32, send me an email and I'd be happy to share them with you. You, as a boat owner, should know the value of a solid, survey compliant, and clean investment. Understand small problems become big deal breakers, we can help. We, keep things simple... not try to take on more than we can chew and take care of boats. Plain and simple. 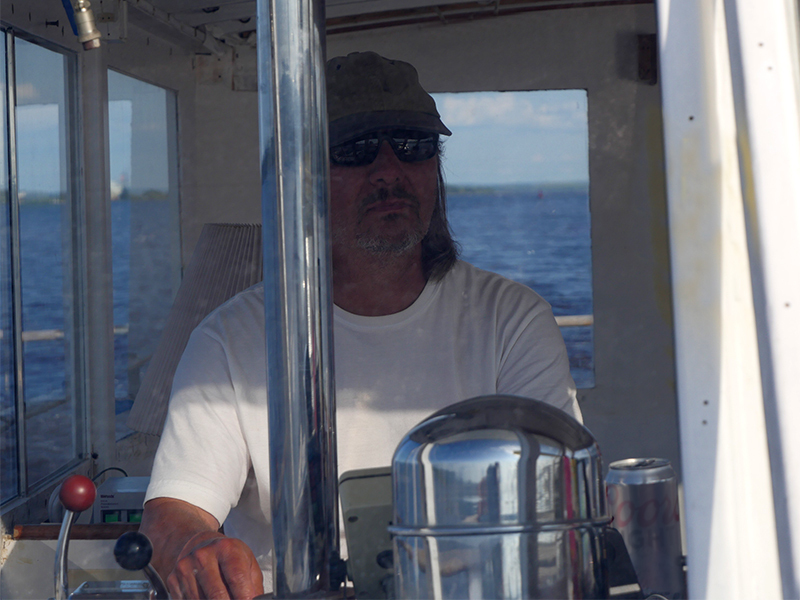 A graphic designer by career, a boat restorer by passion. Has spent the past 37 years learning, listening, and getting his hands dirty. Never afraid to don the mask and get busy. Started out helping to restore an old sailboat, then refinished my house, and has been working on boats ever since. He has an attention to detail, works hard, does it right. Randy "RJ" Julian was brought on board to do some pretty major work on my Grand Banks 32 Classic woodie. Fair, very knowledgeable, and willing to try new techniques. A traditional boatshop located on Lake Superior in Duluth, Minnesota with a full woodshop and boatshop. 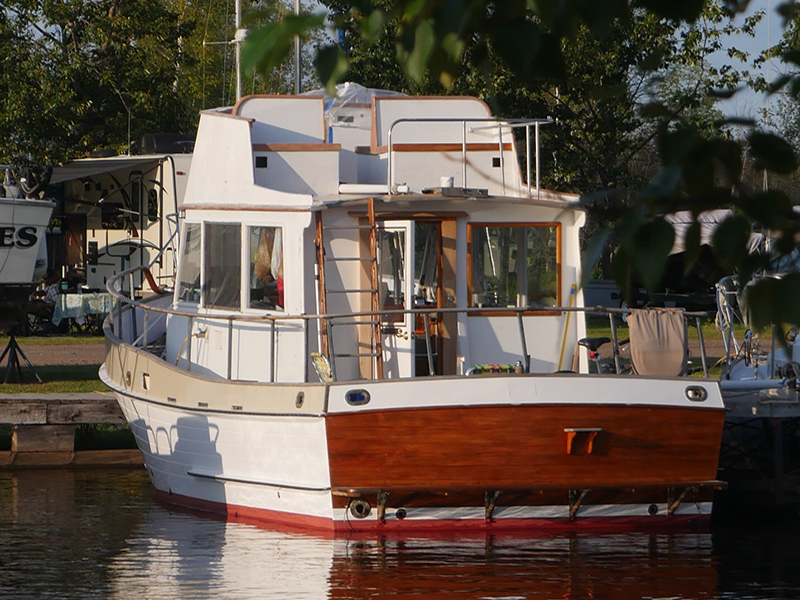 We've teamed up with Julian Boatworks to handle major wood repairs such as plank and frame replacement, among other projects needed attention. Wood or fiberglass, "RJ" is our go to guy. After spending as much time and money as we have over the past 3+ decades there're not many real surprises anymore. We can pretty much spend an hour or so looking at a boat and have a good idea of what needs to be done.